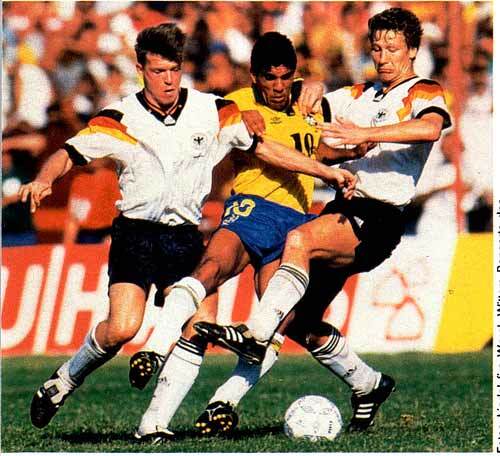 This friendly game between Brazil against Germany was played on December 16th 1992 at the Estadio Beira-Rio in Brazil. 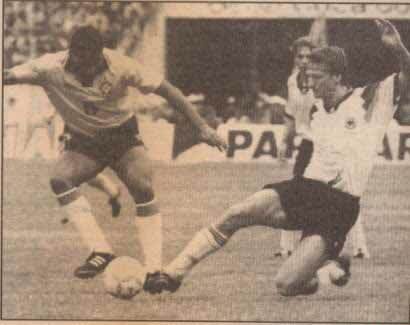 Brazil defeated Germany 3-1 with Luis Henrique, Bebeto and Jorginho as scorer. 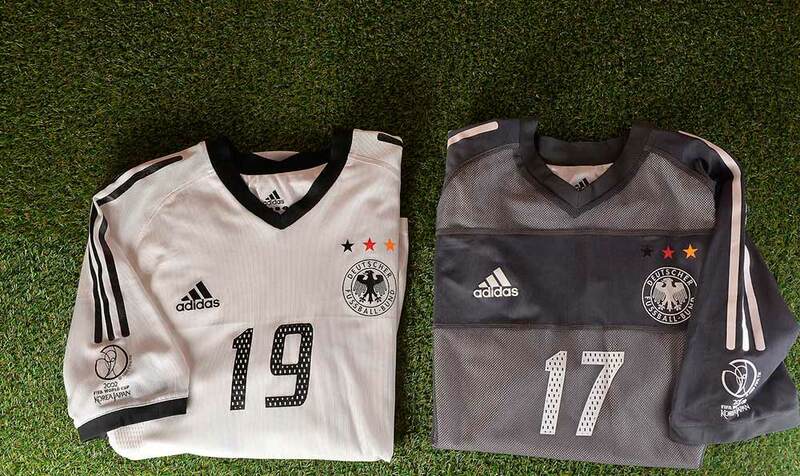 This is one of the very first times that match details appeared on the Germany Team’s shirts. 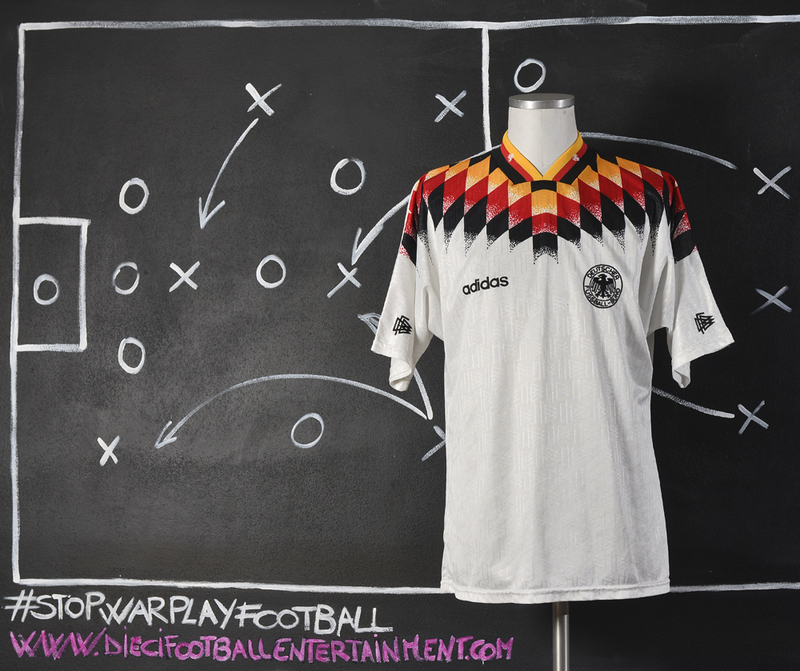 The 1992 UEFA European Football Championship was hosted by Sweden between 10 and 26 June 1992. 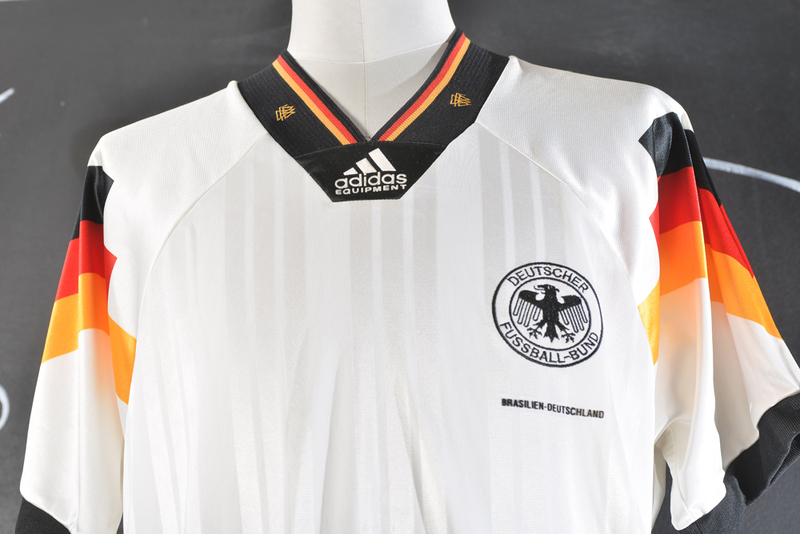 Euro 92 was also the first major tournament at which the reunified Germany had competed. 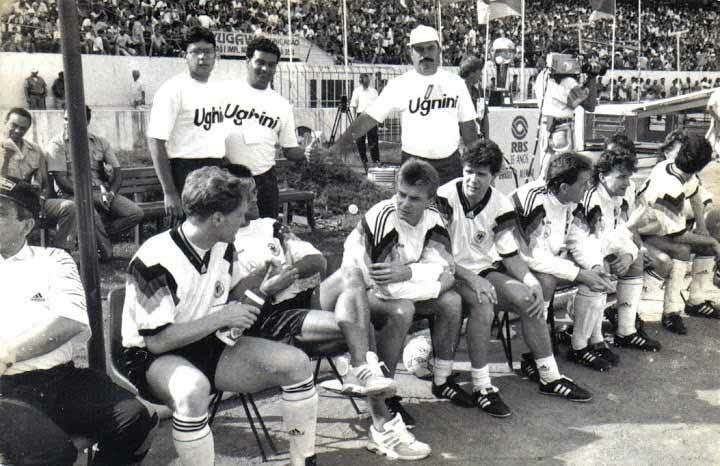 Also present at the tournament was the CIS national football team (Commonwealth of Independent States), representing the recently dissolved Soviet Union whose national team had qualified for the tournament. 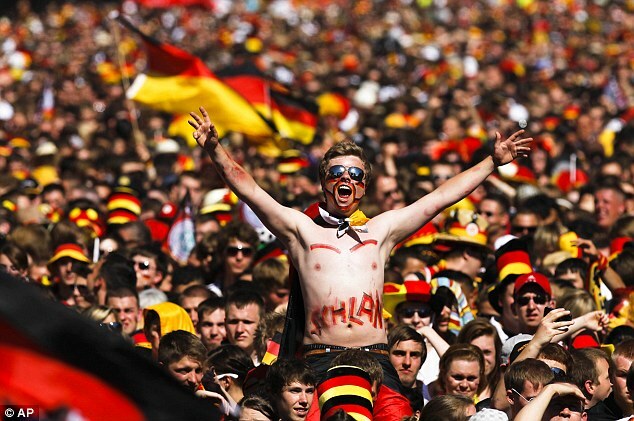 Germany went straight to the Final against Denmark. 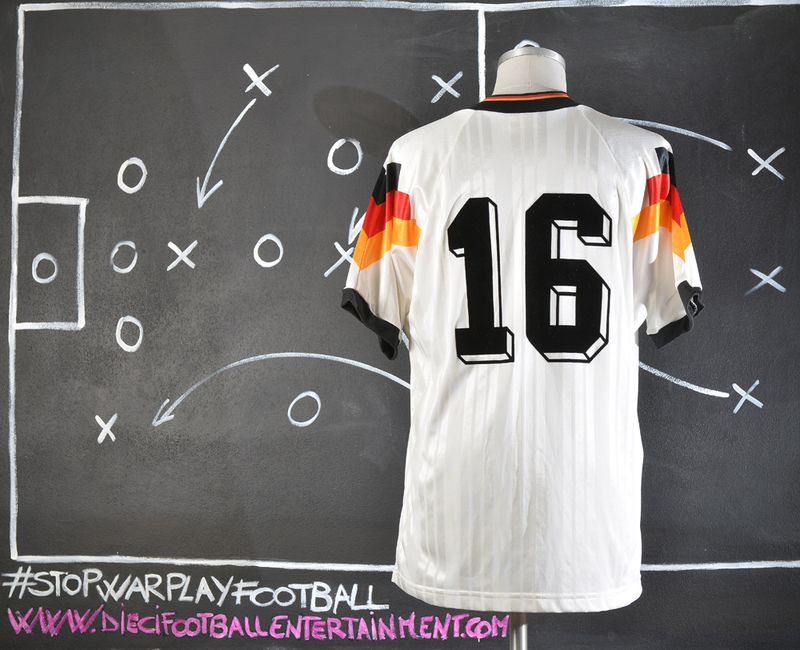 The UEFA Euro 1992 Final was played on 26 June 1992 at Ullevi in Gothenburg, Sweden. Denmark took the lead in the first half from a John Jensen right-footed shot into the top right-hand corner of the net from just inside the penalty box. Denmark sealed the victory with a second goal from Kim Vilfort with 12 minutes to go, Vilfort shooting low left footed in off the bottom-right corner of the post and past Bodo Illgner. 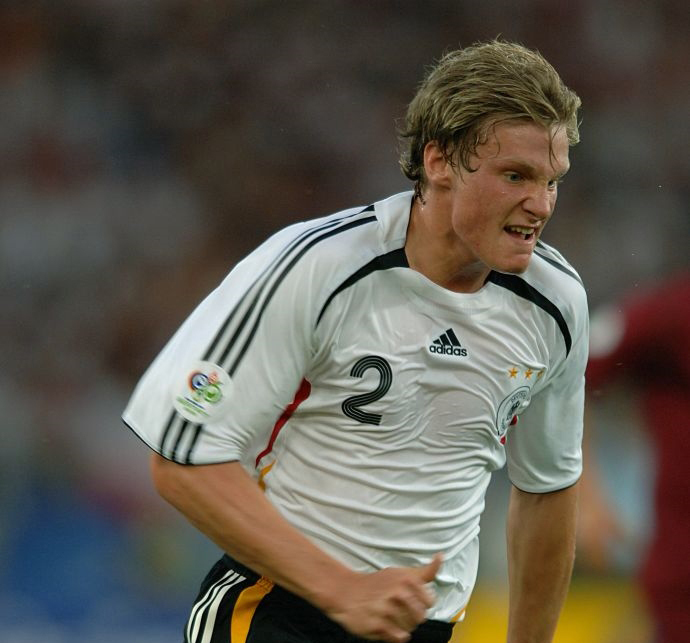 Regarded as one of the best defenders of his generation, Kohler was a physically strong centre-back, who was famed for his defensive perception, anticipation, quick reactions, marking, and prowess in the air, which also made him a goal threat during set-pieces; he was also known for his composure when in possession, and his ability to play the ball out of defence. 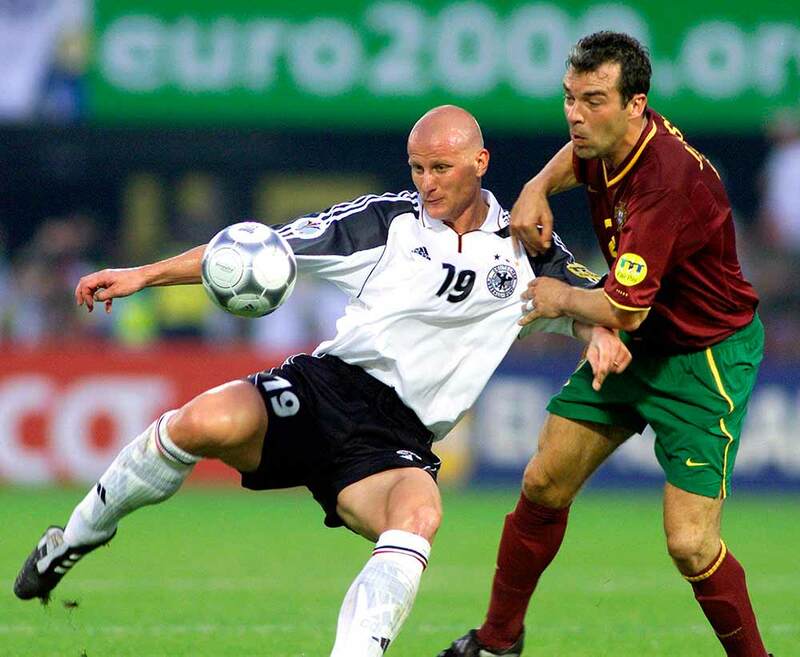 At international level, Kohler made over 100 appearances for the German national team, playing at three FIFA World Cups and three UEFA European Championships, winning the 1990 FIFA World Cup and UEFA Euro 1996. 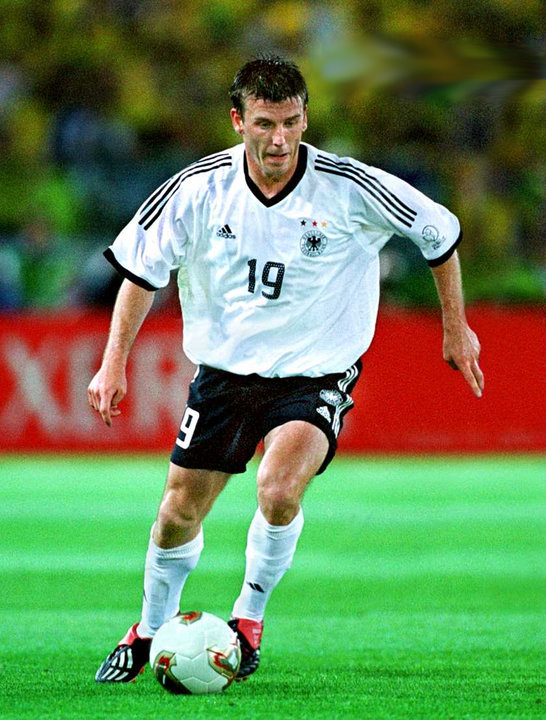 Jancker’s performances during the season 1999-2000, alongside Elber, caught the eye of German national coach Erich Ribbeck, who included Jancker in his international squad for Euro 2000. Instantly recognisable to European football fans, the invariably shaven-headed forward has generally failed to replicate his club form when playing for the national side. 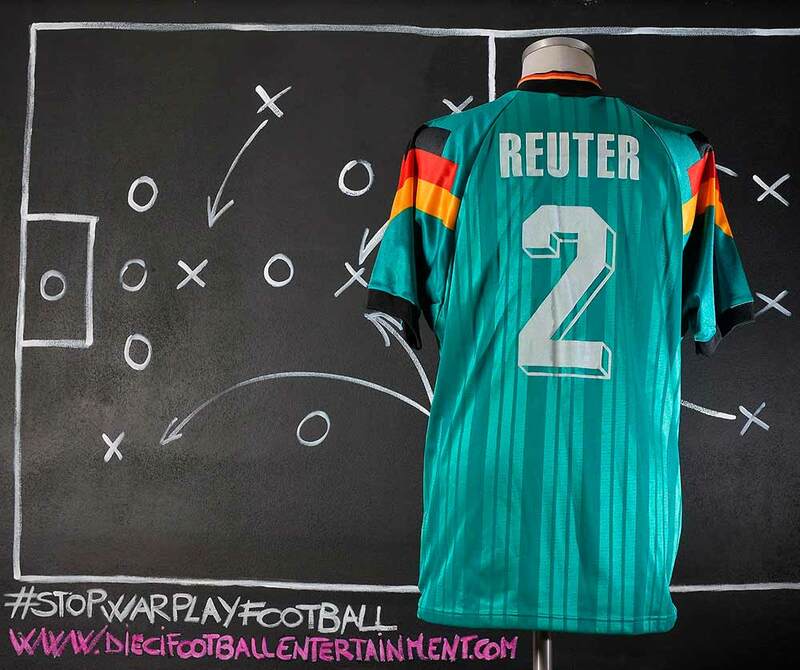 A possible explanation for his poorly-regarded international performances might be that the German national team lacked a skilful strike partner in the Élber mould. 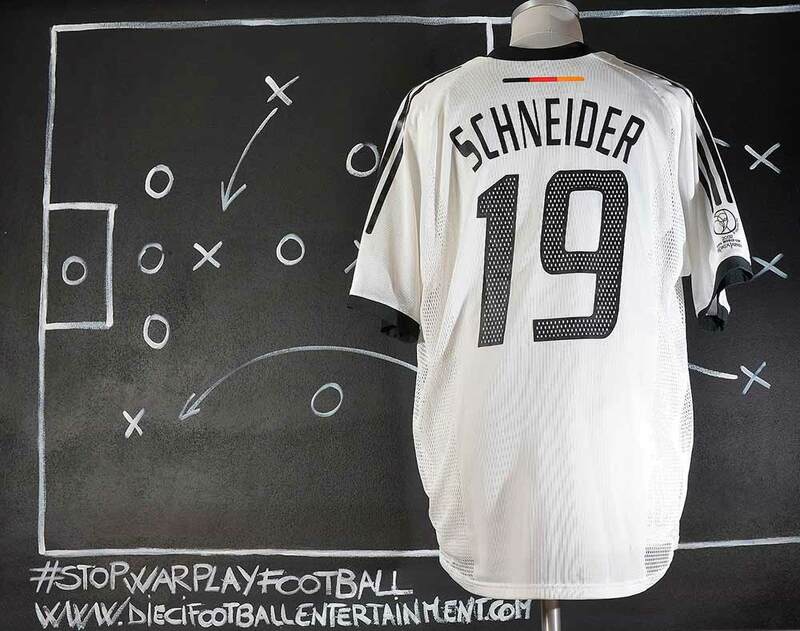 Whatever the reason, Jancker never impressed for Germany; although he was included in Rudi Völler’s squad for the 2002 FIFA World Cup, he was dropped from the team shortly after the tournament and was never recalled. 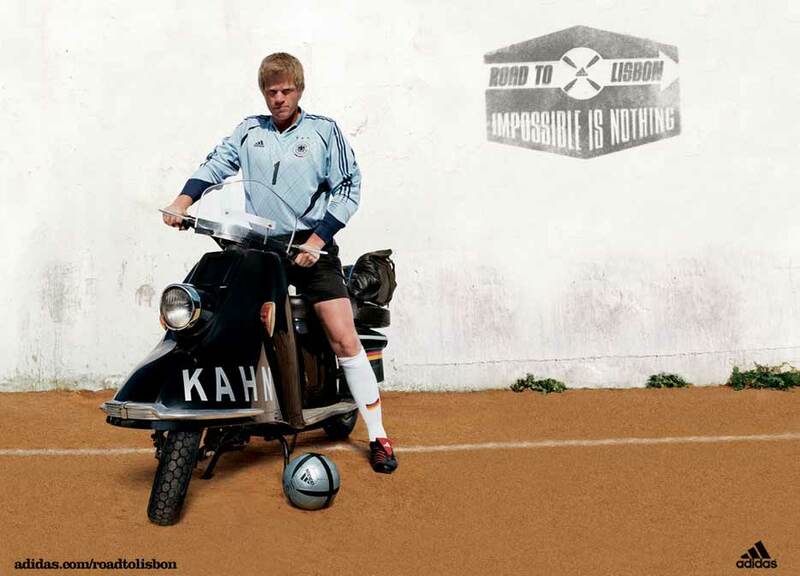 His German international scoring record stands at roughly a goal every three games. 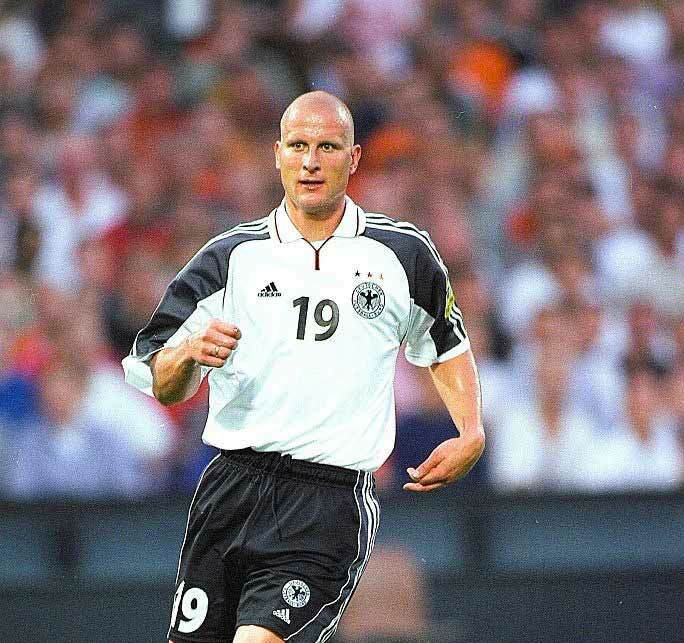 He is known for scoring in Germany’s 5–1 defeat to England in 2001. 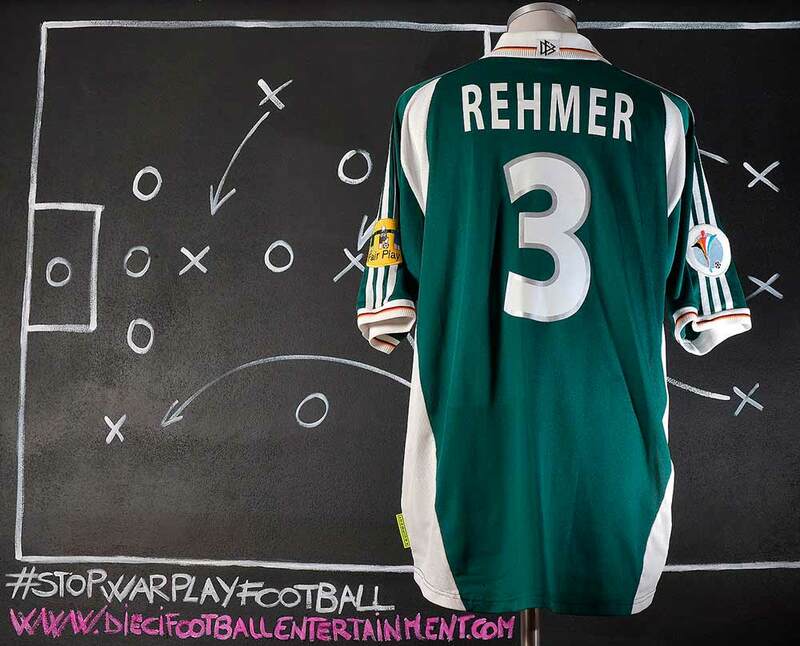 Rehmer got 35 caps for Germany during five years, scoring four times. 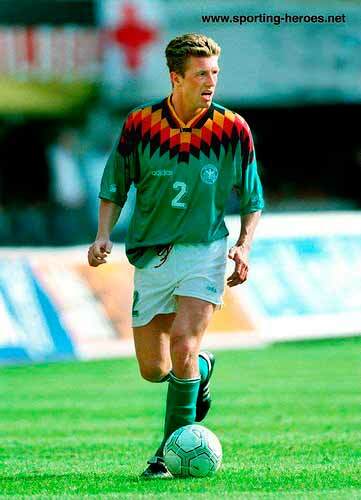 His debut came on 2 September 1998, in a 2–1 friendly win in Malta. 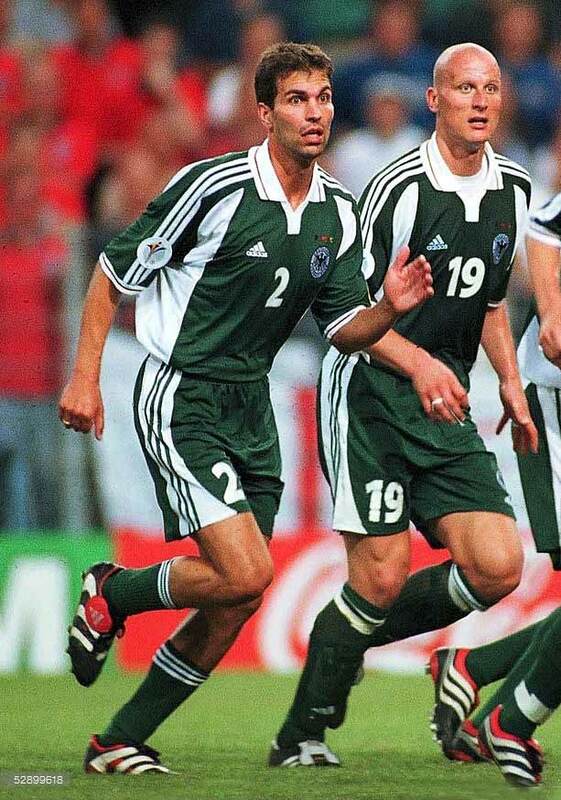 His best years were 2000–01, as he played in 20 internationals, including twice at UEFA Euro 2000, where the national side – the holders – were ousted in the group stages; he was also summoned to the 2002 FIFA World Cup, getting a runners-up medal with his 45 minutes against Paraguay, in the round of 16 (1–0). The 2002 FIFA World Cup was the 17th staging of the FIFA World Cup which took place from 31 May to 30 June 2002 in South Korea and Japan. 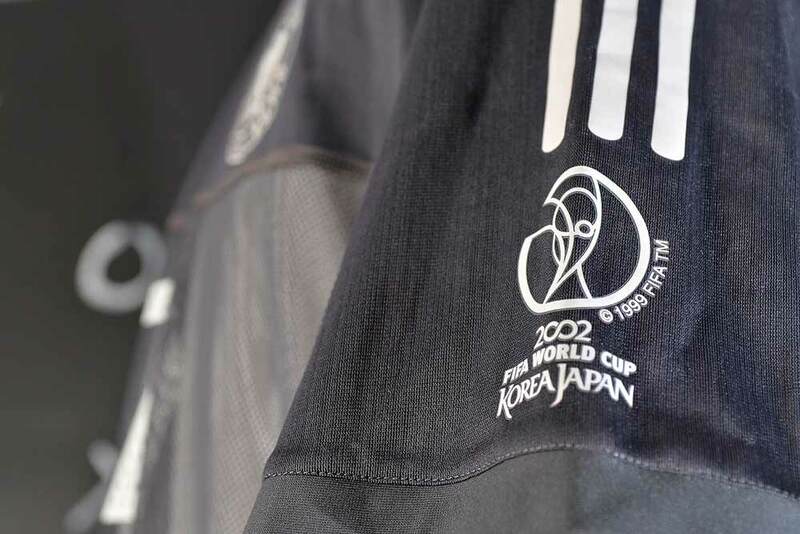 It was the first World Cup to be held in Asia, the first to be held on a continent other than Europe or the Americas, the last World Cup during which the golden goal rule was in force and the only World Cup to be jointly hosted by more than one nation as FIFA amended its statutes in 2004 to officially forbid co-hosting bids. 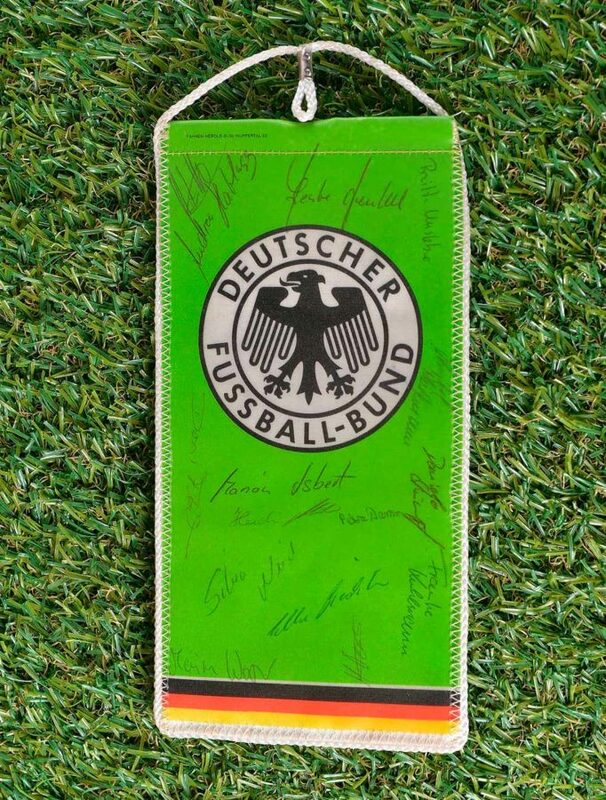 Brazil won the tournament for a record fifth time, winning the final against Germany 2–0. 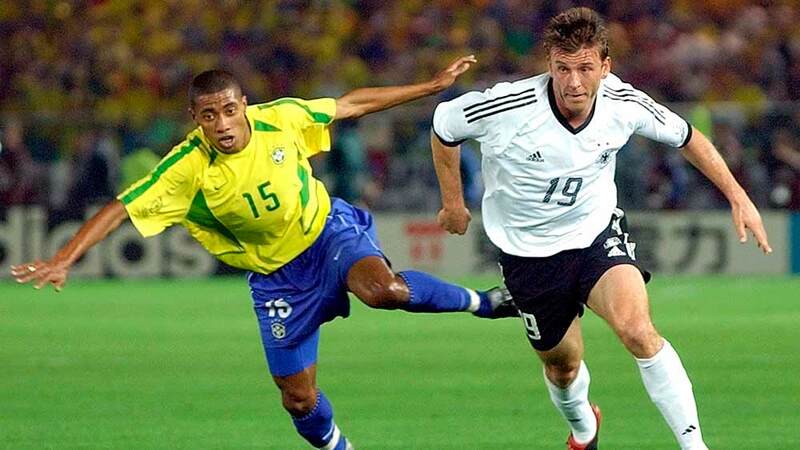 The victory meant Brazil qualified for the 2005 FIFA Confederations Cup for the fifth time, representing the World. In the third place play-off match against South Korea, Turkey won 3–2 taking third place in only their second ever FIFA World Cup finals. China PR, Ecuador, Senegal and Slovenia made their first appearances at the finals with Turkey making its first appearance since 1954. The tournament had several upsets and surprise results which included the defending champions France being eliminated in the group stage after earning a single point and second favourites Argentina also being eliminated in the group stage. Additionally, Turkey took third place and South Korea managed to reach the semi-finals, beating Spain, Italy and Portugal en route. South Korea in particular, faced scrutiny and allegations of corruption due to their controversial victories over Italy and Spain. 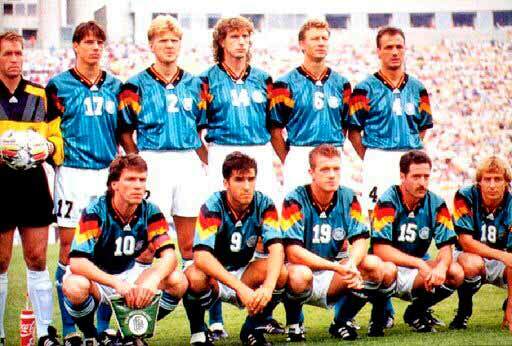 However, the most potent team at the tournament, Brazil, prevailed and they became the first ever nation to win five World Cups. The 2002 FIFA World Cup Final was a football match that took place on 30 June 2002 at the International Stadium in Yokohama to determine the winner of the 2002 FIFA World Cup. 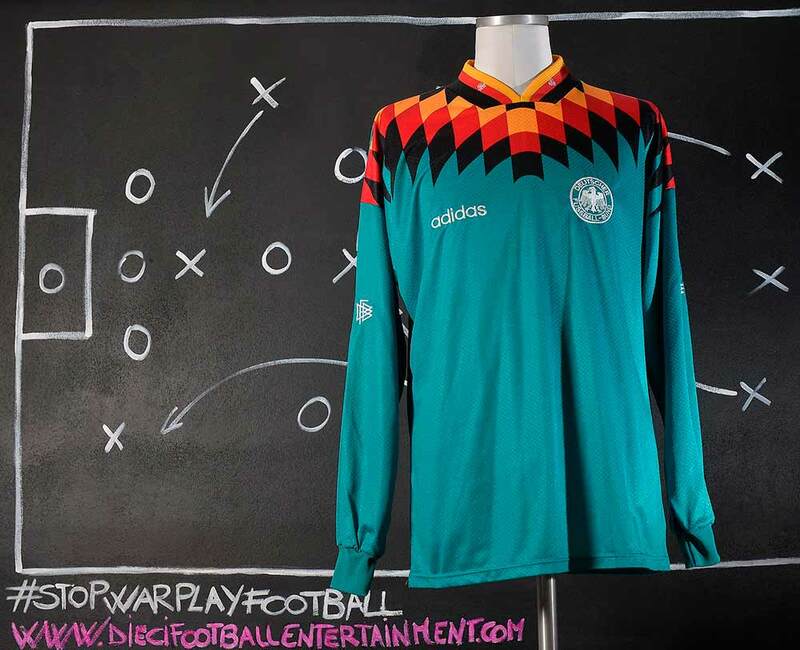 The final was contested by Germany and Brazil. It was the first World Cup meeting between the two sides. Brazil won the match 2–0, winning a record fifth title. Ronaldo, who became the record World Cup goalscorer at the 2006 tournament, scored two of his fifteen World Cup goals in the second half of the match, leading Brazil to the title and winning the Golden Boot award. It also marked Brazilian captain Cafu’s third consecutive appearance in a World Cup Final, a feat that has yet to be accomplished by any other player in the history of the tournament. 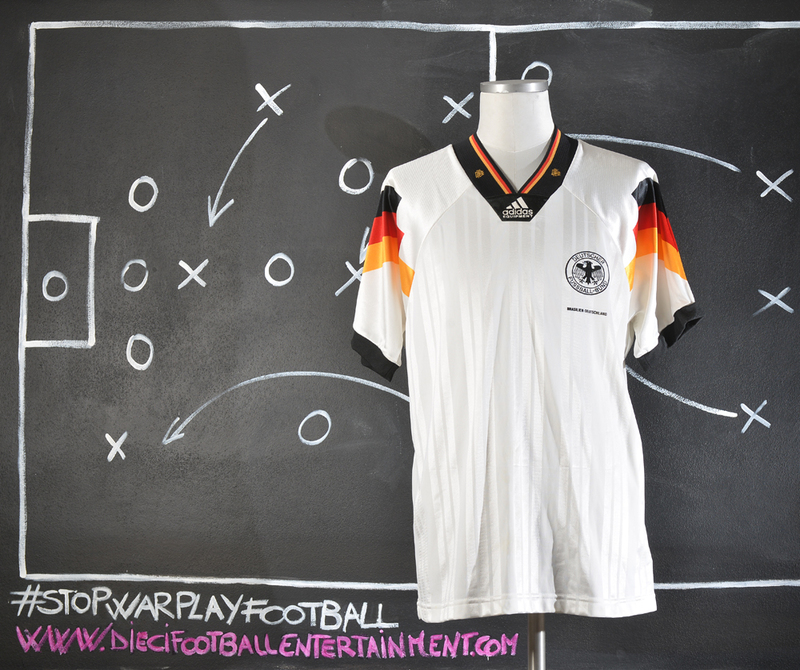 Both teams had won their respective groups before advancing to the knockout stage, where Germany shut out all of their opponents to reach the final, while Brazil only allowed a single goal from England. 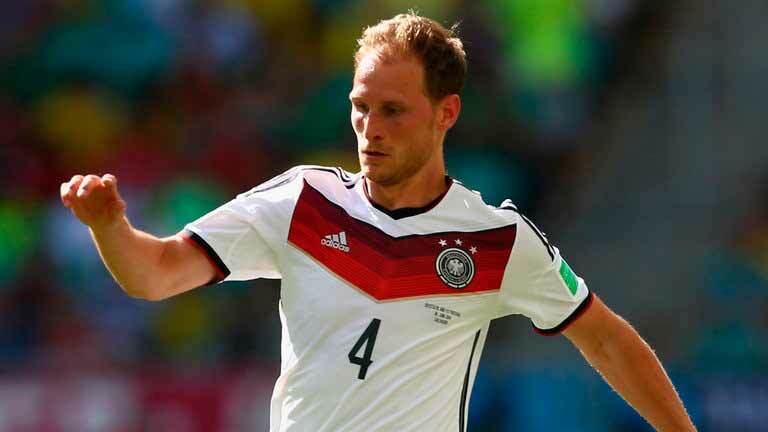 Germany overcame United States and co-host South Korea, while Brazil knocked out England and Turkey. 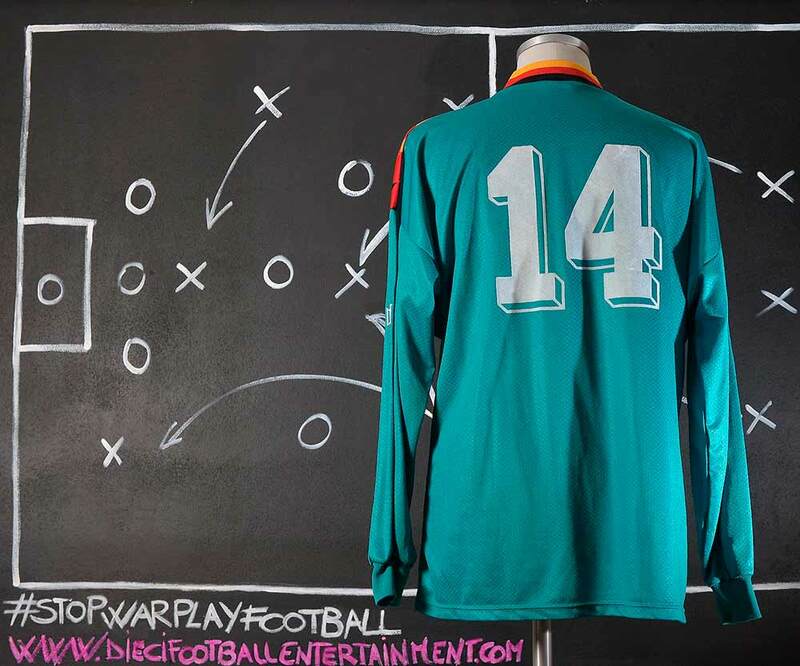 The title marked Brazil’s fifth World Cup championship, which is more than any other nation has achieved, also being the first team to win all seven of their games without any extra time or penalty kicks. Brazil also became the first nation to win the World Cup outside Europe and the Americas. 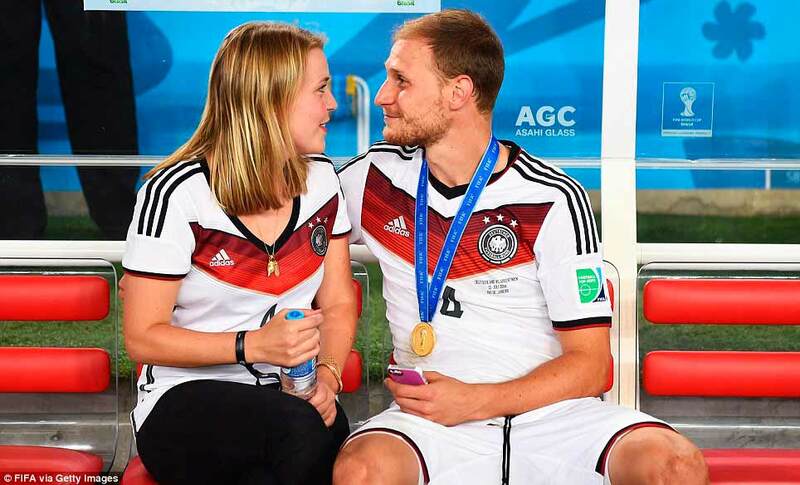 Germany lost the World Cup Final for its fourth time, another tournament record. They were attempting to equal Brazil for most World Cup wins, as they already had three. 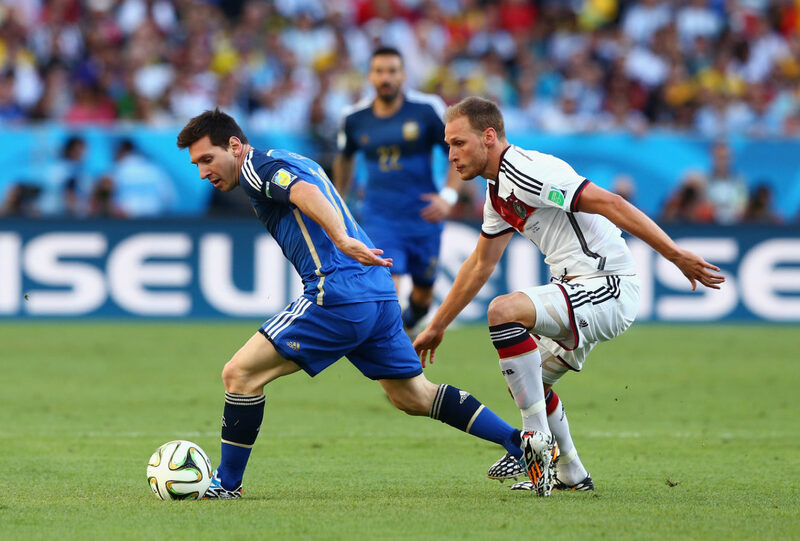 As of 2014 this was the last World Cup final that ended in regulation time. 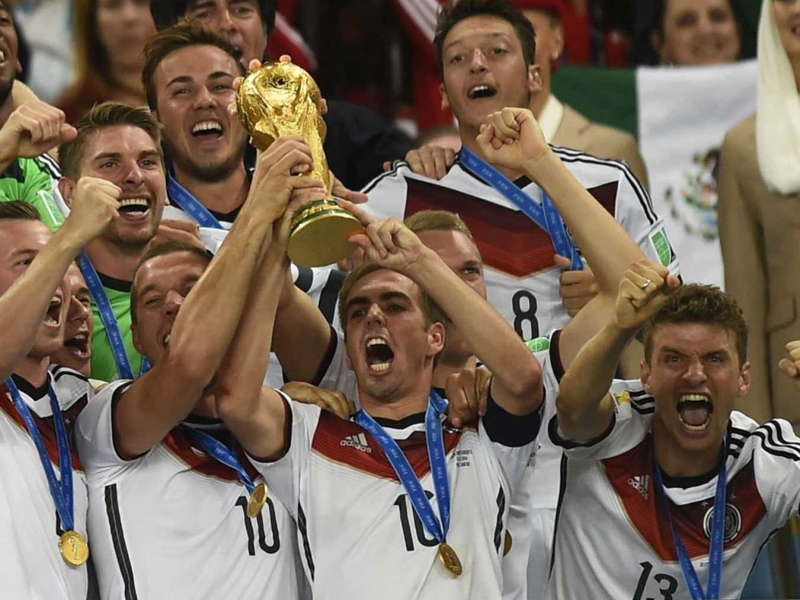 It is also the most recent World Cup won by a South American team. 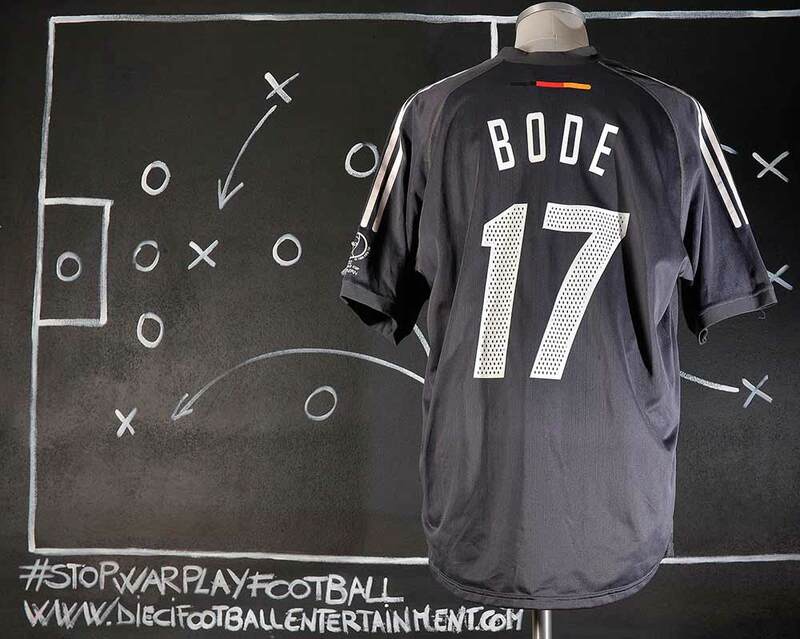 Marco Bode is a true one club man, Bode spent his entire professional career at Werder Bremen. 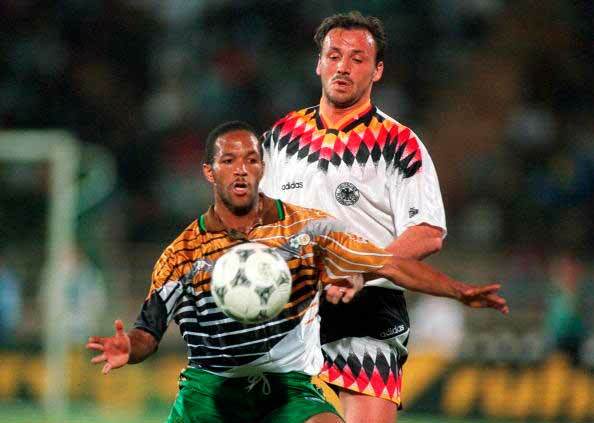 He played as a left winger and forward. 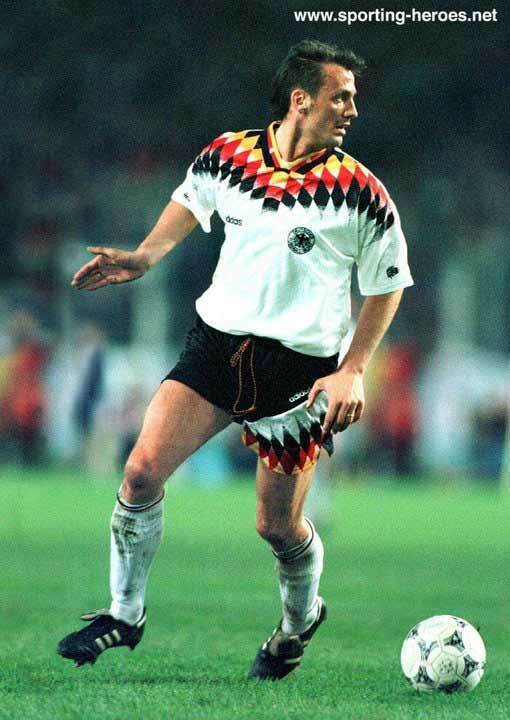 In the seven years following 1995, he also played in 40 games for the German national football team, scoring 9 goals. 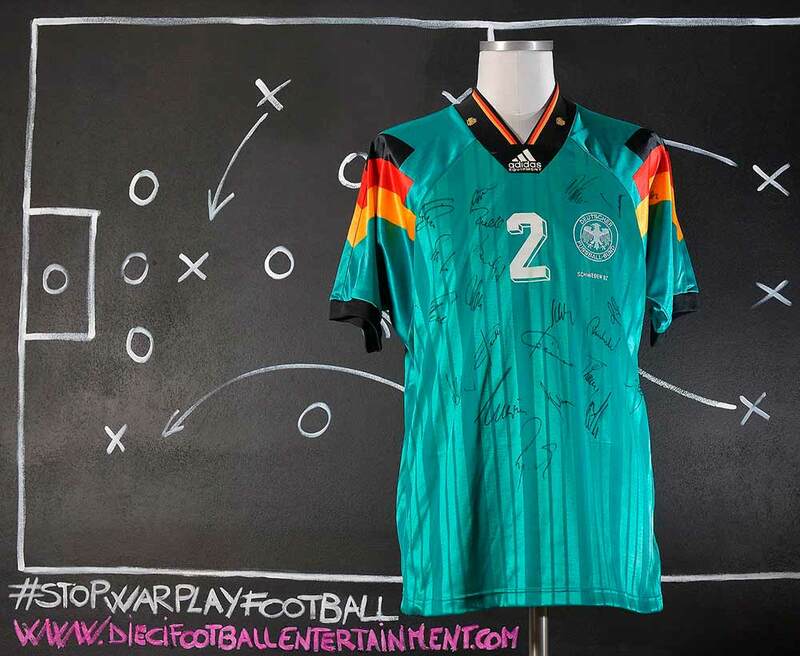 He took part in the UEFA Euro 1996 final and in the final of the 2002 World Championships. 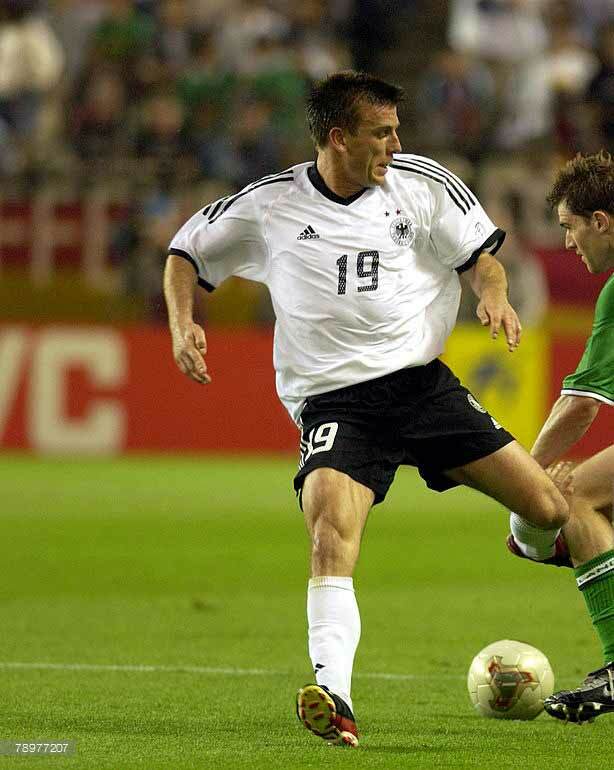 At the 2002 FIFA World Cup Bode was a surprise substitution from manager Rudi Völler in the crucial third group match against Cameroon with the match still at 0–0. 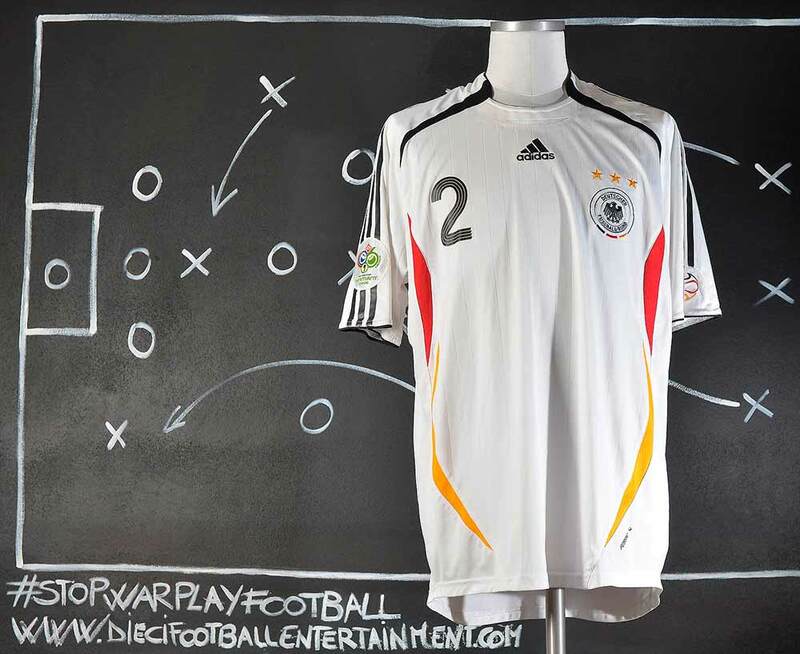 Being close to retirement the German fans felt Bode’s selection was dubious, however Bode silenced the doubter by scoring the opening goal of an eventual 2–0 win for Germany propelling them into the knockout stages as group winners. 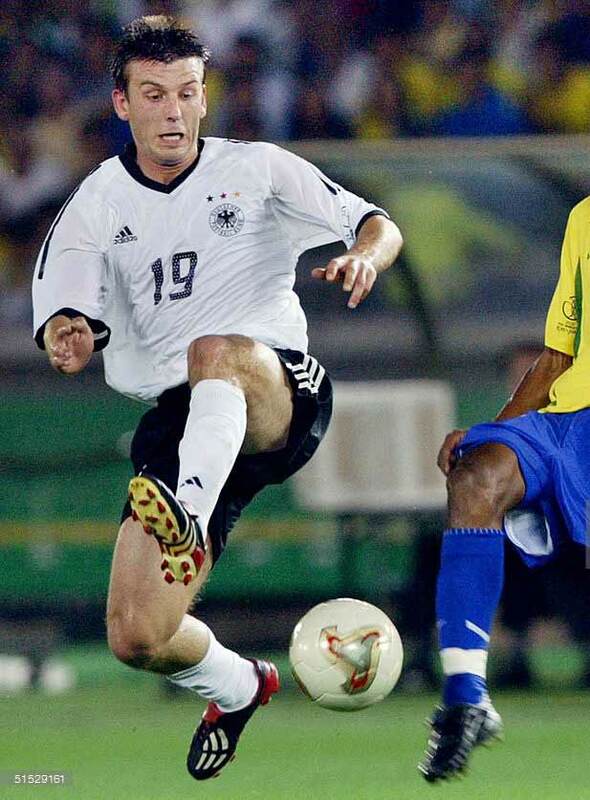 It would be Bode’s final goal and he made his last appearance in the World Cup final as Germany fell to Brazil. 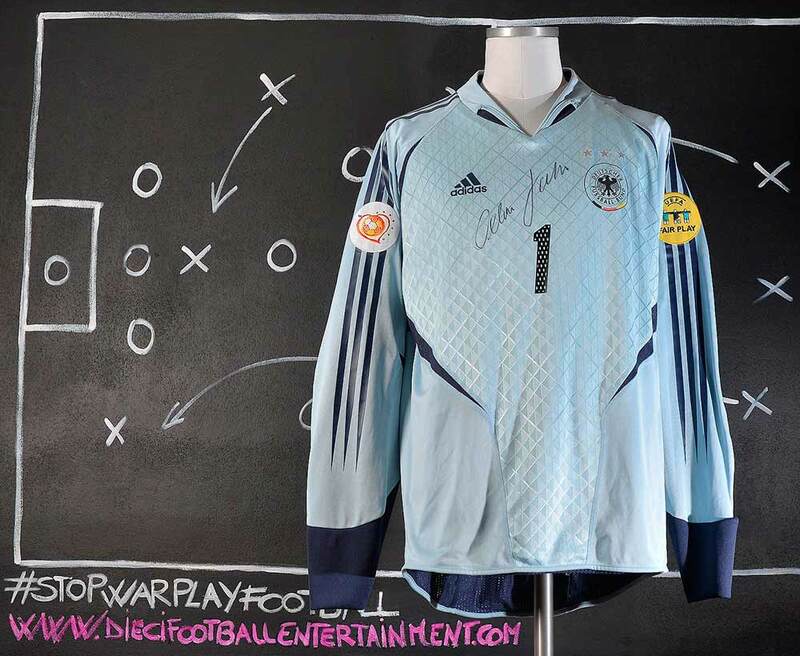 The FIFA Technical Study Group awarded Jahn for the Fifa World Cup 2002 with the Lev Yashin Award for the best goalkeeper of the tournament, and became the first goalkeeper in history to win the Golden Ball for the best individual performance. 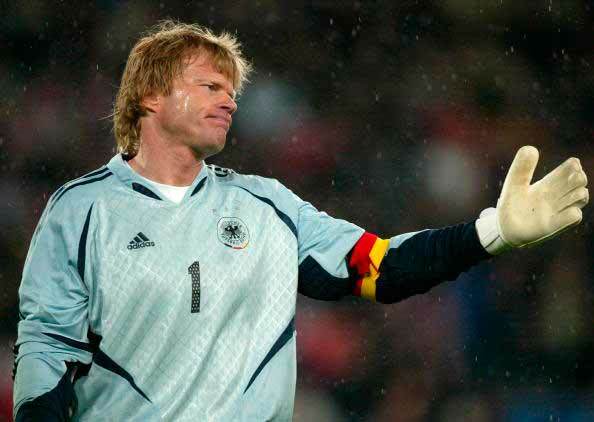 He also became the first German goalkeeper to keep five clean sheets in a World Cup tournament. 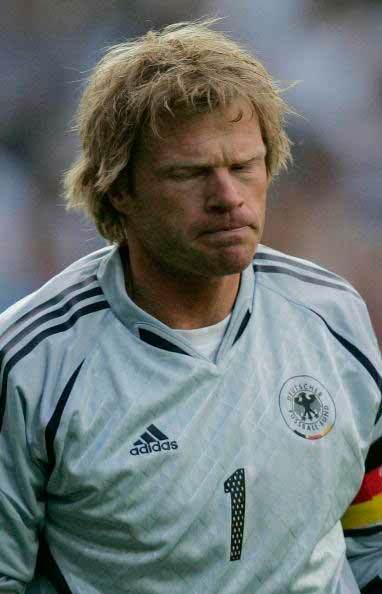 Kahn maintained his number one spot for the 2004 UEFA European Football Championship, but Germany were once again eliminated in the group stage. 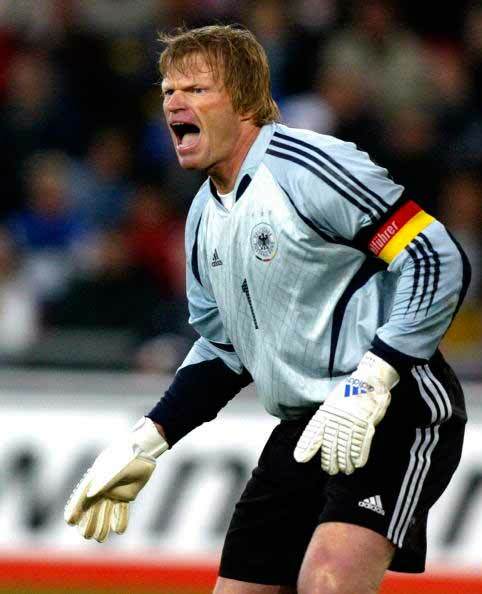 Oliver Kahn gave up his captaincy to Michael Ballack after the tournament. 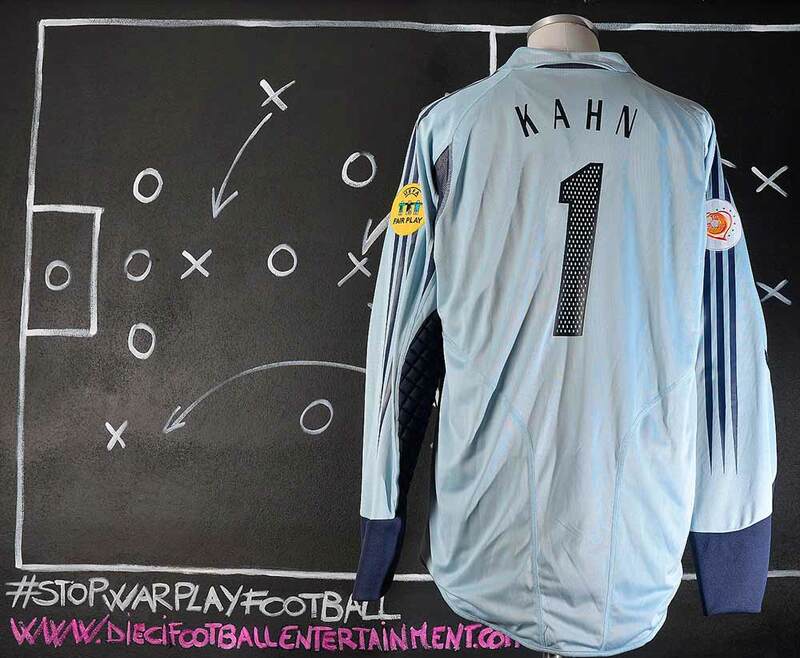 This model of shirt was also used by Adidas for their Euro 2004 advertising with Oliver Kahn. This was the semi-final match played in Westfalenstadion, Dortmund, in front of a crowd of 65,000 on 4 July 2006. 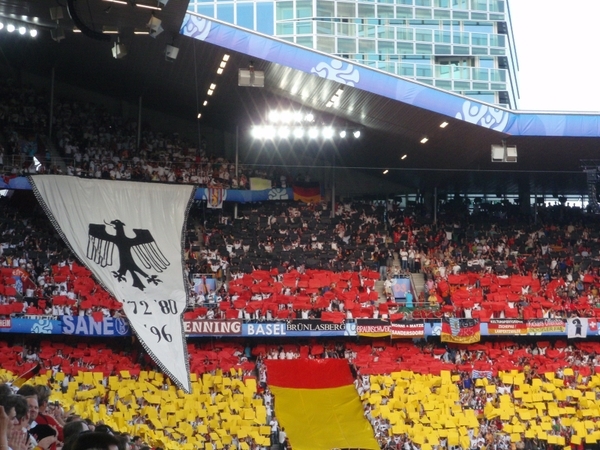 Until then, the Westfalenstadion had been a fortress-like stadium for the German national team, as Germany had never lost there in 14 matches. 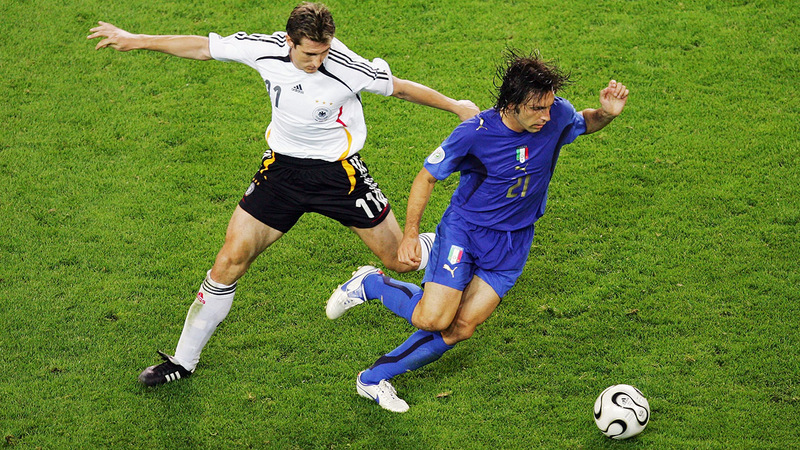 During an eventful match, this record was broken when two late goals in the closing half of extra-time scored by Fabio Grosso and Alessandro Del Piero saw Italy advance to the final. Italy went on to win the World Cup for a fourth time.German midfielder Torsten Frings was suspended for this semi-final match against Italy after footage was released by the media of him throwing a punch at Argentinian player Julio Cruz in Germany’s quarter-final match up with Argentina after a brawl broke out; his suspension for the semi-final was announced by FIFA one day before the semi-final match was to be played. “We Are One (Ole Ola)” is a song recorded by Cuban American rapper Pitbull for One Love, One Rhythm – The 2014 FIFA World Cup Official Album (2014). 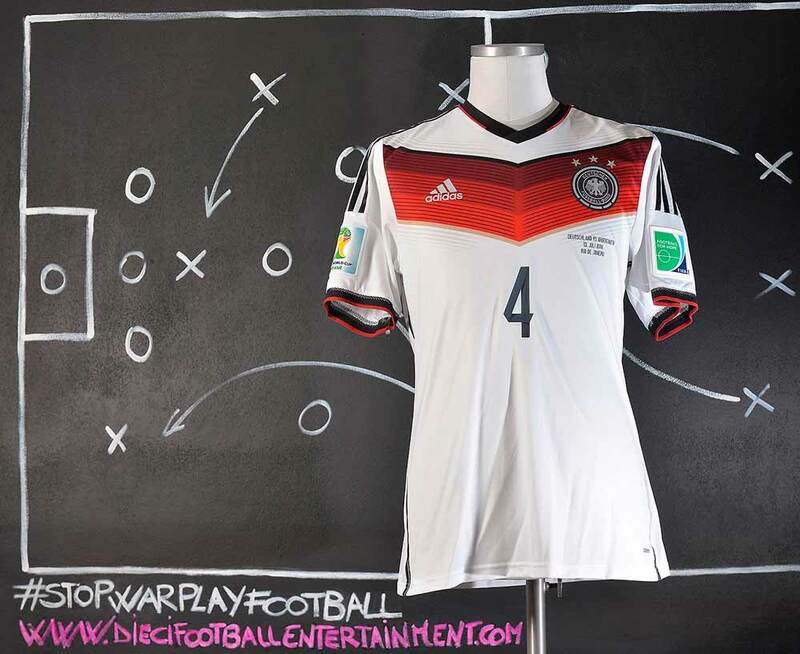 It is the official song of the 2014 FIFA World Cup and features guest vocals from American singer Jennifer Lopez and Brazilian singer Claudia Leitte. The artists co-wrote the song with Sia, RedOne, Danny Mercer, Dr. Luke, Cirkut, and Thomas Troelsen; the latter three are also the producers. Whilst receiving positive reviews from critics, initially the song received some negative reactions from Brazilians over its lack of Brazilian feeling. To change that, another version was also released and the music changed slightly to fit Afro Brazilian group Olodum’s style of drumming – that version being the one that was used in the music video for the song. “We Are One” has experienced commercial success, reaching the top 20 in countries including Austria, France, Germany, Italy, Spain, and World Cup’s host country, Brazil. The song went to its peak at no.1 in 3 countries. The 2014 FIFA World Cup was the 20th FIFA World Cup, the quadrennial world championship for men’s national football teams organized by FIFA. It took place in Brazil from 12 June to 13 July 2014, after the country was awarded the hosting rights in 2007. It was the second time that Brazil staged the competition (the first was in 1950), and the fifth time that it was held in South America. 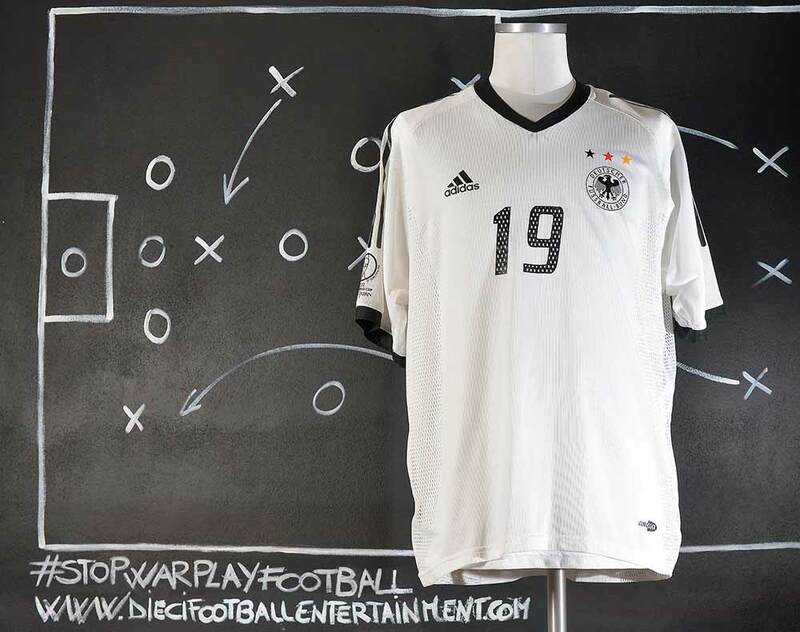 Thirty-one national teams advanced through qualification competitions to join the host nation in the final tournament. A total of 64 matches were played in 12 venues located in as many host cities across Brazil. For the first time at a World Cup finals, match officials used goal-line technology, as well as vanishing foam for free kicks. FIFA Fan Fests in each host city gathered a total of 5 million people, and the country received 1 million visitors from 202 countries. Every World Cup-winning team since the first edition in 1930 – Argentina, Brazil, England, France, Germany, Italy, Spain and Uruguay – qualified for this tournament. Spain, the title holders, were eliminated at the group stage, along with England and Italy. Uruguay were eliminated in the round of 16, and France exited in the quarter-finals. 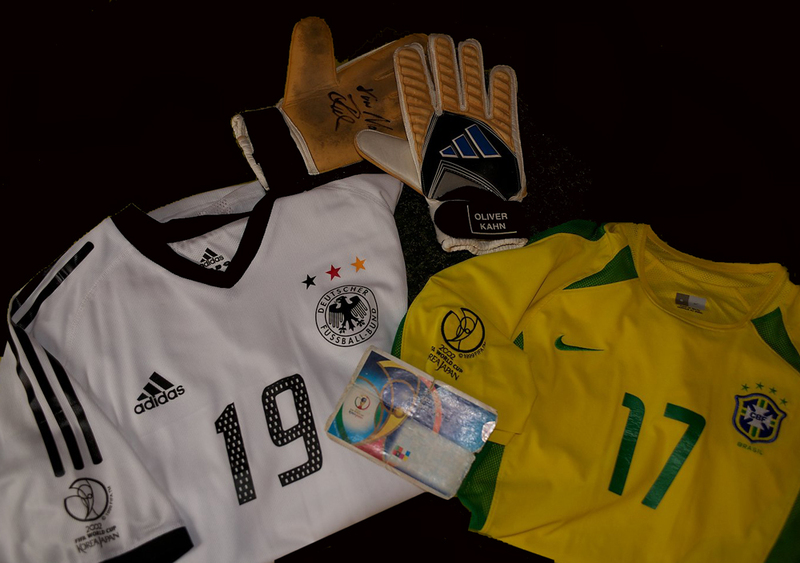 Host nation Brazil, who had won the 2013 FIFA Confederations Cup, lost to Germany 7–1 in the semi-finals and eventually finished in fourth place. 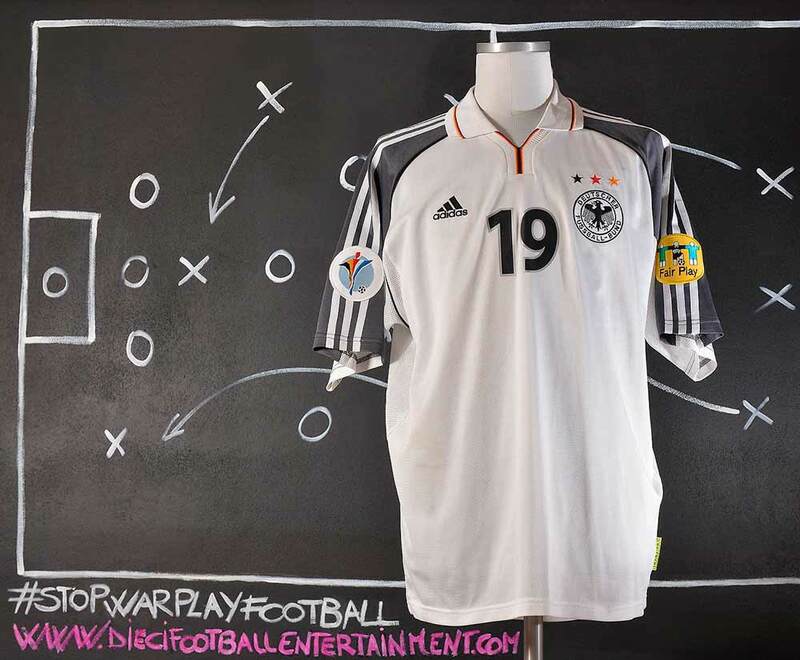 In the final, Germany defeated Argentina 1–0 to win the tournament and secure the country’s fourth world title, the first after the German reunification in 1990, when as West Germany they also beat Argentina in the World Cup final. 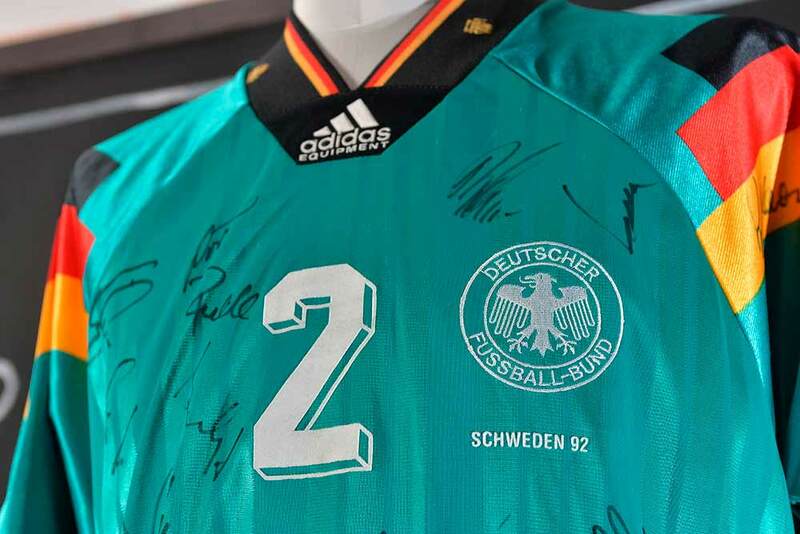 Germany became the first European team to win a World Cup staged in the Americas, and this result marked the first time that sides from the same continent had won three consecutive tournaments (following Italy in 2006 and Spain in 2010). 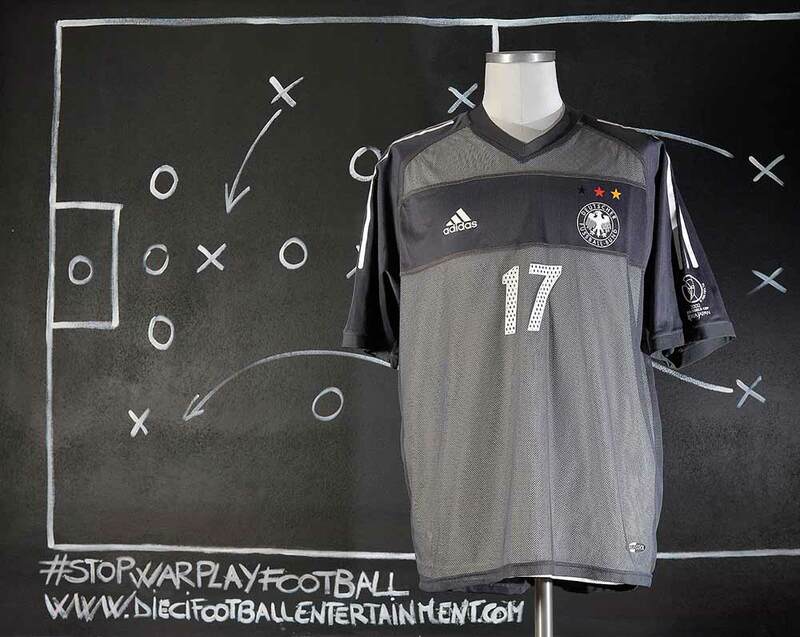 As winners, Germany qualified for the 2017 FIFA Confederations Cup in Russia. 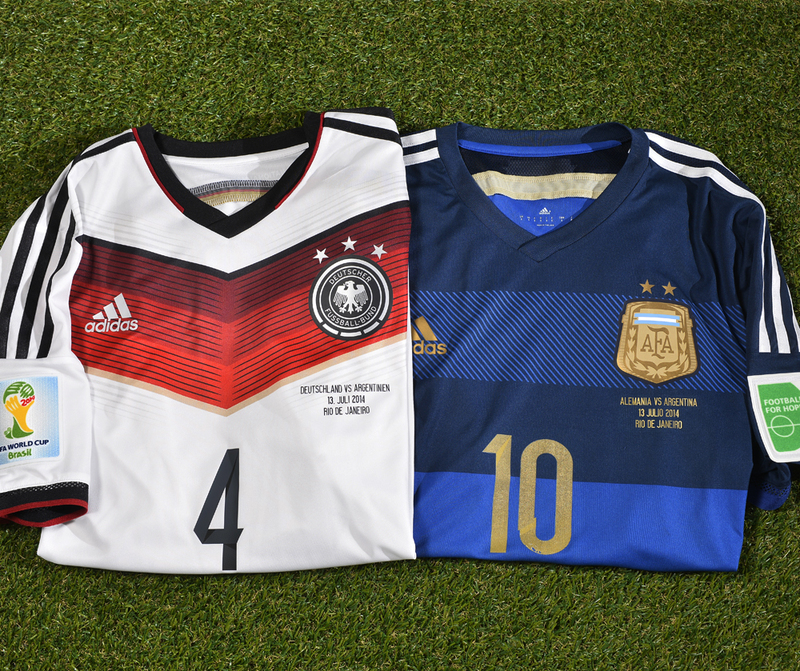 The two teams had met in 20 previous matches, with nine wins for Argentina, six wins for Germany and five draws. In these games, both teams had scored a total of 28 goals. Six of these matches were at a World Cup, two of them in the final. 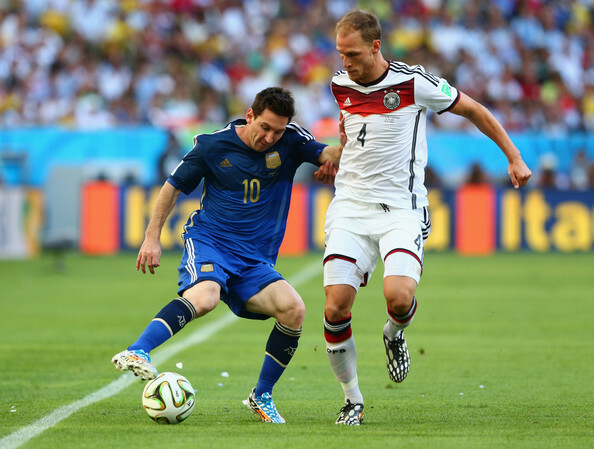 The 2014 final was the seventh World Cup match between them, equalling a tournament record for meetings between two teams (along with Brazil vs Sweden, and Germany vs Yugoslavia). The last three meetings were in three consecutive World Cups, having met in quarter-finals of 2006 and 2010 campaigns. 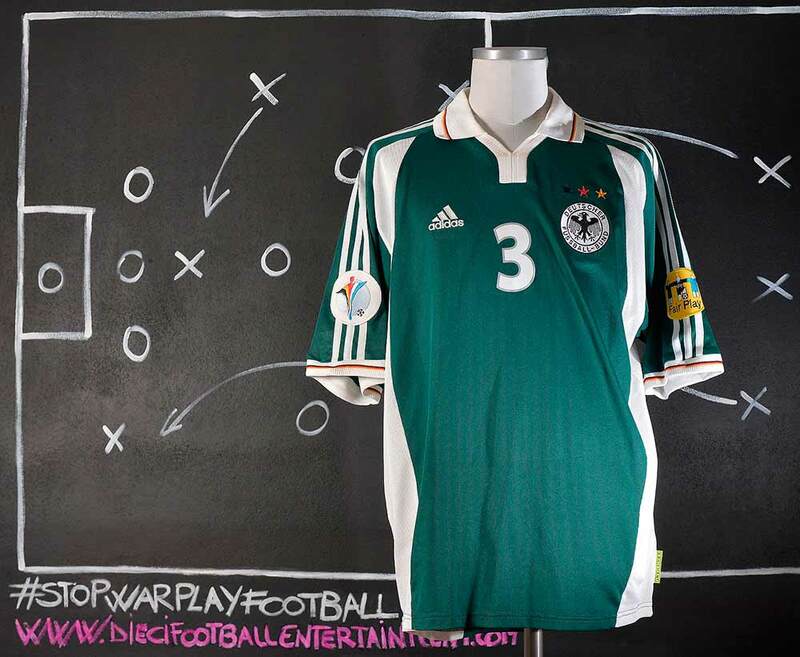 Due to the Argentina–Brazil football rivalry, the Brazilians in the crowd supported Germany, despite their resounding 7–1 victory over Brazil in the semi-finals, as the Germans had shown respect to the defeated hosts, while Argentine fans had celebrated Brazil’s elimination. Most Brazilians were reportedly relieved that their rivals did not win the World Cup in Brazil’s iconic home stadium.